Our friends and supporters at the Center for Constitutional Rights (CCR) in New York were helpful in shaping our civil lawsuit against the Marcos Regime in the early days of our justice efforts in 1981. The CCR, headed then by Michael Ratner and now by Vince Warren, have been a bulwark in advancing human rights internationally. Through creative litigation and mass direct actions, the CCR has stood in the forefront of our struggle for justice. One of the most infamous violations of human rights and the Law of Nations was perpetuated by the Central Intelligence Agency (CIA) under then President George Bush in its torture of prisoners at Guantanamo, Cuba, and other “black sites” around the world. 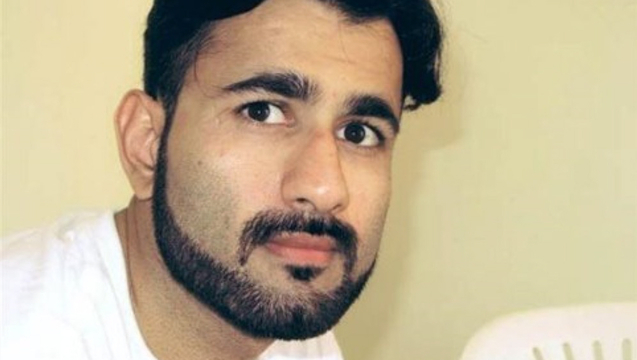 The CCR published recently declassified details describing the torture of one of CCR’s clients, Majid Khan, while in secret custody. The degrading and humiliating torture Khan experienced in secret detention goes far beyond what was revealed in the executive summary of the Senate report released in December 2014. Khan was waterboarded, raped, threatened with harm to himself and his family, and spent most of 2003 living in total darkness. Evidence continues to mount with more and more startling examples of CIA savagery and treachery, all while government officials responsible for this torture enjoy impunity. John Brennan continues to head the CIA—as the agency continues to obfuscate and lie about the torture program—and there has been no new investigation into the brutal torture regime. Join CCR in demanding that President Obama finally confront CIA torture once and for all by firing John Brennan, releasing the full Senate report, and urging the Justice Department to renew its investigation of Khan’s torture and the torture of other CIA prisoners, and prosecute those responsible for authorizing, implementing, and covering-up torture. Sign this letter to the president. Prosecutions are the only way to ensure that acts of torture committed by the CIA never happen again. In the meantime, please allow us to update you on developments in our ongoing search for justice in the murders of Gene and Silme. By providing us your email address, you will receive the first chapter of The Story of Domingo and Viernes and further updates on our work.